I grew up undocumented. I grew up knowing the fear and resiliency that comes from being an immigrant in this country. I know of the hardships but I also know of the perseverance and strength of my parents and my community. I went to school everyday feeling uncertainty in the face of national threats to myself, my family, and to our humanity. Yet, we continue to rise and thrive. 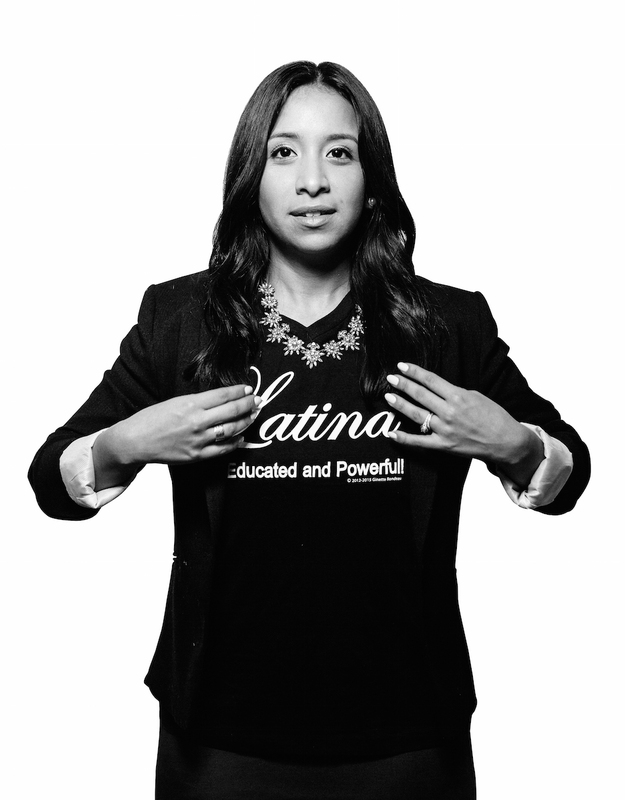 Vanessa Luna is a 2018 Camelback Fellow. Today, I am at Summit 2 of the Camelback Fellowship in New York with a heavy heart reflecting on the continuous criminalization of immigrant and undocumented families. Last week, I was in Los Angeles, watching some of my beautiful students graduate. Many of my incredible students and their families crossed the border and sought asylum in the U.S. If they had been separated from their parents, they would not have crossed the stage this past week. The children being separated could have easily been my students or myself. Today, less than 1% of schools nationwide have a strategy or commitment to protecting their immigrant and refugee children. I recently co-founded a nonprofit called ImmSchools that is dedicated to making our communities and schools inclusive, welcoming, and defenders of immigrant children. Now, more than ever, we need allies. If you’re reading this, it means that you are likely all too familiar with news on the Trump administration separating families at the border and SCOTUS upholding the Muslim ban. 1. Talk to educators you know. Many teachers, principals, and superintendents don’t even know the depth of this issue or how it’s affecting their students on a daily basis. If they have chosen education as a profession, it is because they believe in the power of learning and the equitable access to it. Inform the educators in your life, and let them know how they can help. As you reflect on this past school year and prep for the one, ensure you have clear plans on how to support the immigrant and undocumented community. With over 12 million undocumented immigrants in U.S., who all come from different countries and share unique experiences and challenges, educators must be aware on how to support them. Consider engaging ImmSchools about ways we can go to their schools and empower them to protect their students. 2. Donate money to organizations that are fighting on a national scale RIGHT NOW. ImmSchools partners and collaborates with a number of incredible groups. While Trump may have elected to stop separating families, that doesn’t heal the wounds already inflicted in our communities. Our partner RAICES (Refugee and Immigrant Center for Education and Legal Services), recently shared by Camelback as well, is dedicated to reuniting every child with their family. You can learn about other organizations you can support with your time and money right now in this great, concise, and vetted list from the Texas Tribune. 3. If you have a legal background and/or fluent in Spanish, utilize this expertise to make a huge impact in New York and Texas. New York City’s free legal services organizations, such as the Legal Aid Society and the New York Legal Assistance are currently working with the Mayor’s office to coordinate assistance for these children. You can contact those organizations to get involved right now and use your expertise to make an impact. Those services include helping to vet potential legal guardians that can provide a home for them as their cases go through the court systems, representing them in court, helping fight for and facilitate family reunification, and overall, ensuring the children’s safety. Currently, NYC is expecting 300 children to be brought to NYC (though the numbers are an estimate as a lot of information is murky at this point). They will also certainly need a great amount of volunteer translators in the days, weeks, and months ahead so they may effectively advocate for their young clients. They will also need more financial resources to hire more legal advocates. If you are fluent in Spanish and interested on being on a list of emergency translators, please reach out to me as soon as possible. Additionally, the Camelback team was notified of an opportunity for those in Texas with a legal background to be supportive. Please see the * at the end of this post for information on how to engage. 4. Make an impact locally. There are many individuals and organizations that are collecting objects and donations for the area that you’re in. You can also donate supplies to support Annunciation House, an organization that is supporting and housing migrant communities in El Paso. There have also been many protests happening; stay alert for ways to engage in the community you live in. Call your Congress representatives. 5. Don’t let this issue be silenced, and do not grow numb to these atrocities. A. Stay up-to-date with news outlets you feel you can trust. For example, ProPublica is the outlet that published the audio of the crying children at the border. B. Watch your language: replace phrases and use language that humanizes the immigrant community. Replace “good citizens” with “good people,” and use “undocumented” instead of “illegal.” Grow conscious of the language you use as language is power. C. Vote. If not for yourself, then for the causes and people you believe in who, like myself, do not have the power to advocate for themselves. Every child has the right to education, and every child has the right to be safe. Let’s make this America into the one we know it can be. Please, look out for opportunities to help wherever you live. Share this list, do as much as you can, and reach out to me if you want to talk more or want more information on the opportunities. *Opportunity for engaging in Texas, originally shared with a team member through Facebook. "We are being given access to the children at Casa Padre in Brownsville, Texas, on July 12-13 and need massive help. Approximately 1,000 children are being held there and we have the right to interview every single one of them under Flores, but we will only have two days and 9-12 hours per day to do so. Every interview takes approximately one hour, which means that we will need approximately sixty attorneys, plus interpreters. We need some interpreters to speak indigenous Central American languages as well as Spanish and other languages around the world (last week our team was looking for a Punjabi speaker while interviewing a child at one of the Border Patrol stations). We also are seeking volunteer pediatric medical and therapeutic professionals who can volunteer to provide support onsite both days. Almost no private citizens are allowed to meet with these children, but a limited number of attorneys can under Flores and we need more volunteer attorneys on our team in light of the current crisis. If you go to Brownsville (or one of the other sites where children are being held), you can document who and where these children are, who their parents are, and as much as the children can recall of where and when they were separated from their parents so that we can provide that information to the court and seek their prompt reunification with their families. There is no travel funding available and all work done is on a volunteer basis. If you cannot help with the visit at Casa Padre on July 12-13, we also will probably need volunteers for visits to the ORR/Southwest Key facilities once those dates are set. If you are willing and able to volunteer, please contact me at wbinford@willamette.edu and I will help you with paperwork to get your background check started and the introductions you need to possibly be added to the Flores team. History, as well as present conditions around the world tell us how critical this process and information are in circumstances like we are witnessing here. The separation of these children from their families highlights a dark point in our unfolding history as a nation. Today, I am so grateful for the rule of law and attorneys, other professionals, and lay volunteers who are working so hard to shine a light on these children's plight in order to provide a path forward for them and their families, as well as for society overall. Regardless of how you are trying to help, thank you for all you are trying to do!"